Hadees shareef "The importance of mothers"
Our Beloved Prophet Muhammad (peace and blessings be upon him) continually used to remind his followers of the status of the mother and the obligation of being good to one's parents. 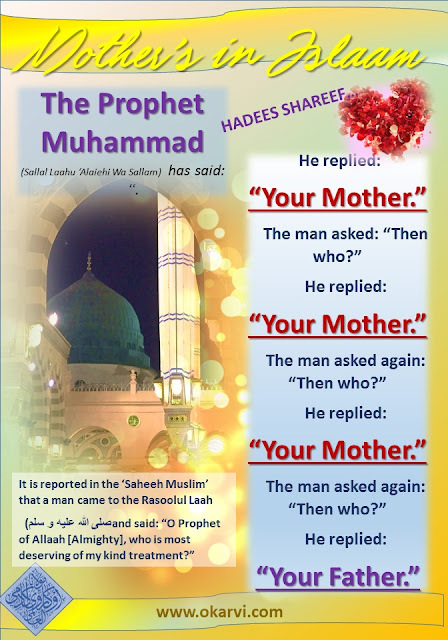 Hazrat Faatimah (May Allaah be pleased with her) was the youngest daughter of the Holy Prophet (Peace Be Upon Him). Her mother’s name was Hazrat Khadeejah Kubraa (May Allaah be pleased with her). The Holy Prophet (Peace Be Upon Him) received revelation in the 40th year and in the 41st year Hazrat Faatimah’s (May Allaah be pleased with her) blessed birth further adorned the Blessed Household. Some of the famous laurels awarded to Hazrat Faatimah (May Allaah be pleased with her) are Baatool, Zahraa, Taiyyibah, Tahiraah, and Zakiyaa. She is called Batool because throughout her lifetime she did not love this world and adopted independence from it. The titles Zahraa, Taiyyibah, and Taahirah reveal her purity. Such purity has not and will not be received by any woman in the world! 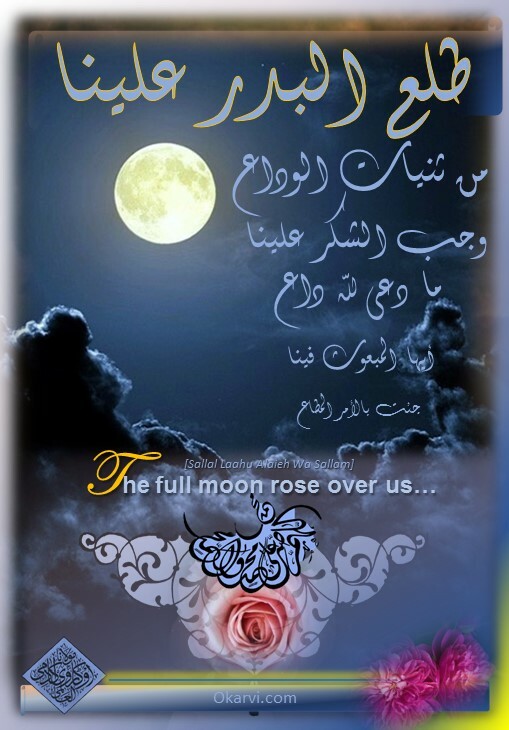 Ieemaan is love for the Holy Prophet [Sallal Laahu Alaieh Wa Sallam] Let me conclude! He who loves the Holy Prophet will love the children, companions, wives, Shariaah, sunnah, city, grave of the Holy Prophet [Sallal Laahu Alaieh Wa Sallam] and everything that has a connection with him. To love that which is connected to the Holy Prophet [Sallal Laahu Alaieh Wa Sallam] is to love him. If we do love the Holy Prophet then we must follow in his footsteps. There are those that follow his methodology but have no love for him. Those that imitate (itteba) him with love become Auliyaa-Allaah. We must enhance our love for the Holy Prophet [Sallal Laahu Alaieh Wa Sallam], true belief (Aqeedah) with actions (Amaal) and we will become Allaah Kareem’s beloveds. 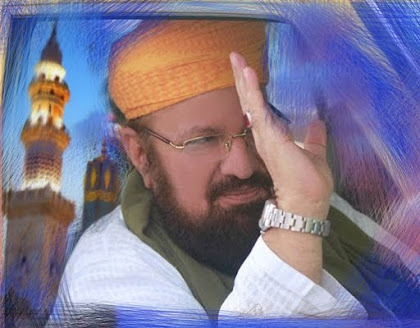 Ieemaan is love for the Holy Prophet [Sallal Laahu Alaieh Wa Sallam] will a true lover of Ieemaan brand salutations (Durood-o-Salaam) and Niyaaz on his name as a waste of time? Somebody has printed and expressed this blasphemous statement in a Cape Town newspaper. A lover will never brand going to Madeenah with the intention of visiting the Holy Prophet [Sallal Laahu Alaieh Wa Sallam] at his grave as impermissible. A lover will proclaim that even if we proceed to that sacred ground using our eyes as feet we will not be able to fulfill our duty. A lover will always speak about his beloved. 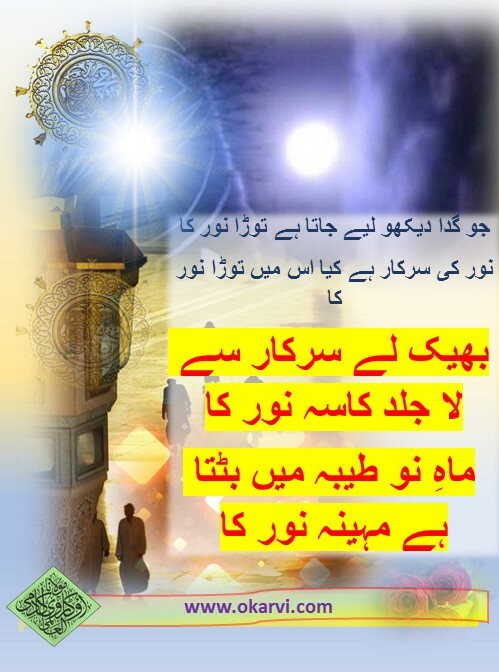 A lover will never brand as shirk the touching of the sacred enclosure (jaali) around the sacred grave. A lover will use the sand of Madeenah as colyrium (surmaah) for his eyes. All the opposition branding of acts of love as shirk is proof of their hearts being devoid of love. 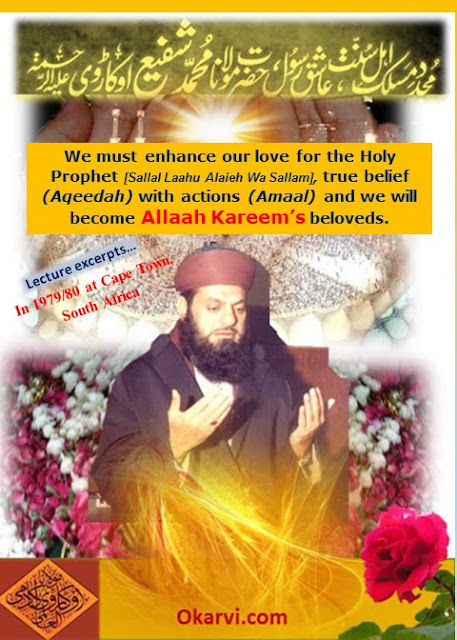 We kiss our thumbs,following the act of love for the Holy Prophet [Sallal Laahu Alaieh Wa Sallam] as done initially by Hazrat Aadam [Alaiehis Salaam]and re instituted by Hazrat Abu Bakr Siddeeq [Radiyal Laahu Anhu], the act that the Holy Prophet [Sallal Laahu Alaieh Wa Sallam] said guarantees his intercession. They. Who oppose us; brand this act of love as bidaah. They run out of our Meelaad celebrations when we rise to send salutations, bur reappear when it is time to eat. They are shameless. 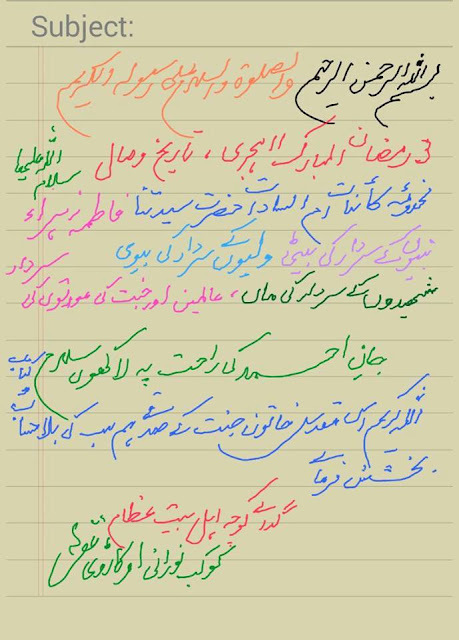 Allaah Kareem save true Muslims from them! Save yourselves from being influenced by their deviant beliefs by keeping yourselves firm on the path of the Salaaf Saaliheen. If we believe them then we are accepting that all our forefathers were bidaati and Mushrik. Did not your forefathers celebrate Meelaad; Giyaarween Shareef; go to Mazaars etc. Yes they did! So this is the path of Ahle Sunnat Wa Jamaa’at and the true path. Strive to keep the Aqaaid of Ahle Sunnat Wa Jamaa’at alive. Figs are excellent for your digestive health and bones. HONORING & REMEMBERING THE GREAT SAHAABI! GREAT AASHIQ E RASOOL [Sallal Laahu Alaieh Wa Sallam] from YEMEN. Uwais al-Qarani Arabic: أويس بن انيس القرني‎, was an Arab, Muslim martyr, he was a Tabaai'eeni from Yemen. 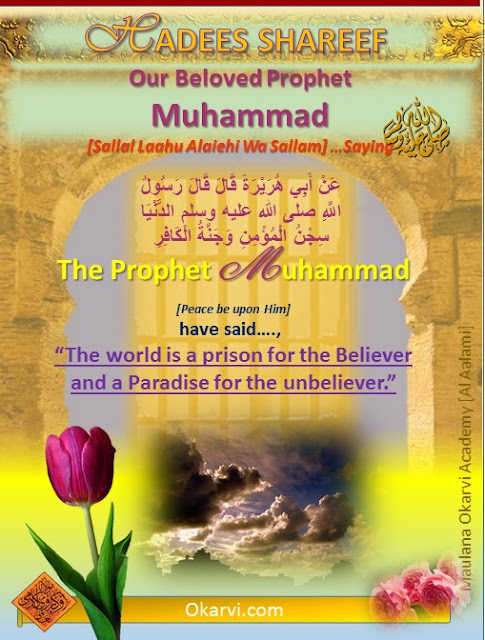 He lived during the lifetime of Muhammad, [Sallal Laahu Alaieh Wa Sallam] but never met Prophet Muhammad [Peace be upon Him] personally. 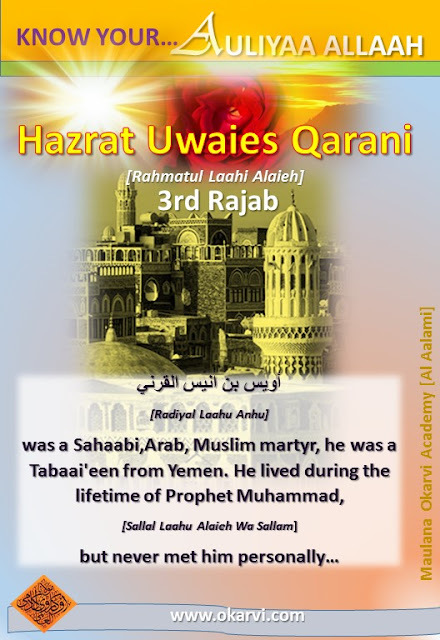 Hazrat Uwaies Qarani [Rahmatul Laahi Alaieh]was a very pious and noble person. 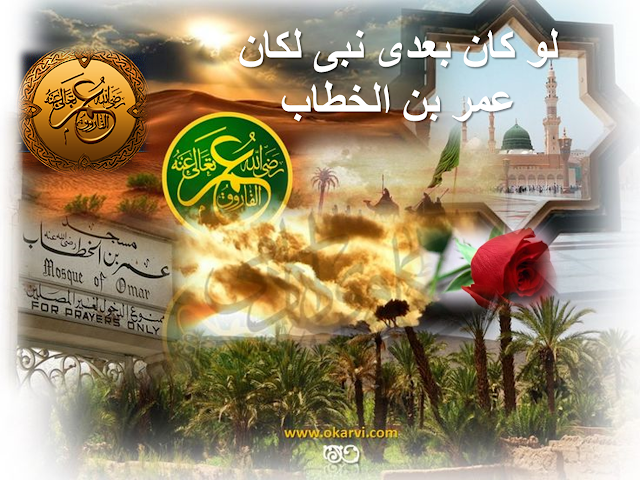 He had embraced Islaam while Rasoolul Laah [Sallal Laahu Alaieh Wa Sallam]was still alive. He naturally had a very strong desire to see the Beloved Prophet but since his mother was old and she needed his help and care, he could not visit the Prophet. 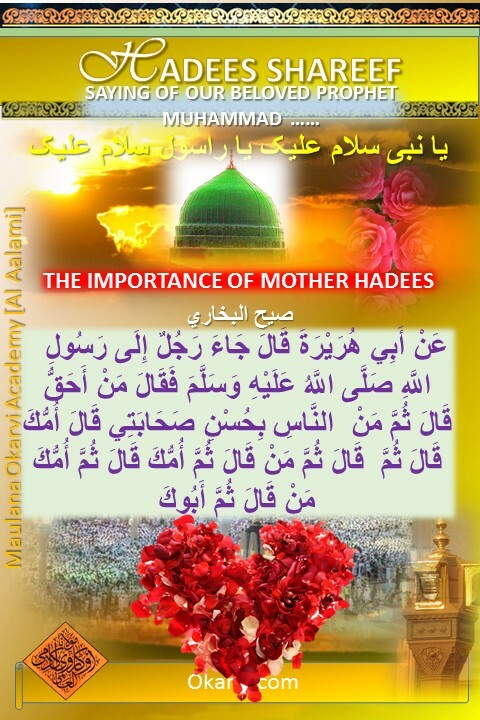 As a reward of his service to his mother, he was given the title and status of a Sahaabi by our Beloved Nabee [Sallal Laahu Alaieh Wa Sallam] even though he could not see him personally. This verse shows us that the condition or basis of love is following the beloved. So the sect that truly follows and obeys the Sunnah and Shariah of Hazrat Muhammad ﷺ is the true lover and Momin. Now the question is what is meant by following and obedience that has been declared as the standard of the love? Does the obedience and following Sunnah means doing whatever Hazrat Muhammad ﷺ does or there is some condition as well? If only copying what Prophet ﷺ does is the obedience that has been demanded in Shariah as well that those hypocrites and enemies of religion would also be termed as beloved of Allaah ﷻ and followers of Prophet ﷺ who despite of being hypocrites used to offer prayers and fast as well. 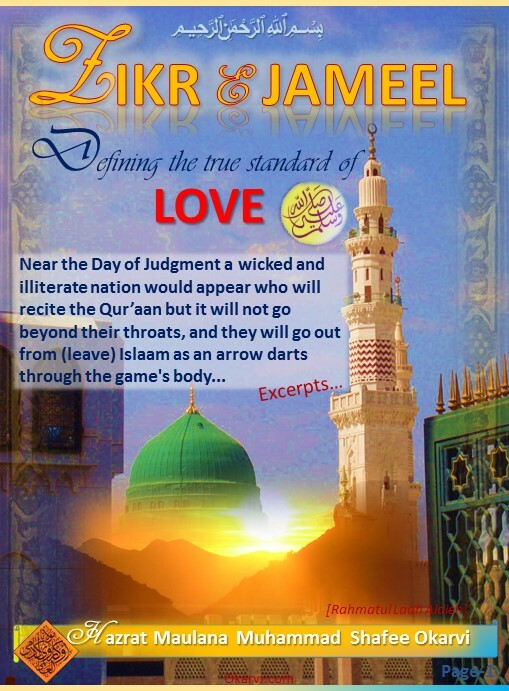 Not only this, in the books of Ahadees a Hadees has been narrated that near the Day of Judgment a wicked and illiterate nation would appear who will recite the Qur’aan but it will not go beyond their throats, and they will go out from (leave) Islam as an arrow darts through the game's body. True Muslims would consider their prayers inferior to their; their tongues would be sweeter than sugar but their hearts would be like that of wolves, their trousers would be above ankles and heads would be shaved etc. In such a situation how merely following Sunnah and obedience can be termed as standard of love and evidence / authority of faith? In such a situation merely copying Prophet ﷺ cannot be termed as obedience and following of Sunnah as evidence of Love of Prophet ﷺ. So we need to revisit the meanings of following and obedience in order to define the true standard of love. In the Qur’aan Allaah has told us that obedience of Hazrat Muhammad ﷺ results in being loved by Allaah ﷻ. The enemy of the beloved can never be beloved than how enemy of Hazrat Muhammad ﷺ can be beloved of Allaah ﷻ? Thus it is clarified that this verse means that one should follow the Sunnah of Hazrat Muhammad ﷺ as a demand of the love of Prophet ﷺ, if one converts his life according to the Sunnah for loving Hazrat Muhammad ﷺ than one will be loved by Allaah ﷺ. Such obedience is the evidence of love of Hazrat Muhammad ﷺ. But how can we decide that this sect is the true follower of Hazrat Muhammad ﷺ and acting upon Sunnah of Prophet ﷺ with true love and that sect is merely copying Prophet ﷺ. So let’s research and try to find the true standard of love. 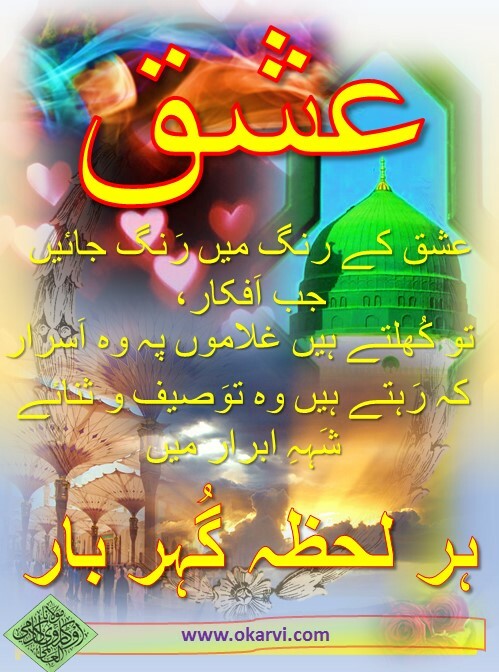 Hazrat Abu Daudرضی اللہ عنہ narrated that Hazrat Muhammad ﷺ said, “when one loves someone then he gets blind and deaf to the defects of beloved”. This Hadees makes it clear that undeniable and true standard of love is that lover does not see and listen to the defects of the beloved. The true standard of love in the light of common sense is that it is impossible that lover sees any defects in the beloved and if a lover sees the defects in the beloved than love of the lover is nothing more than a lie. The loving eye cannot see defects in the beloved and Prophet Hazrat Muhammad ﷺ is defect-less. Hazrat Hass’aab Bib Thabitرضی اللہ عنہ said about Hazrat Muhammad ﷺ that his eyes has not seen anyone beautiful like Prophet Hazrat Muhammad ﷺ because no mother ever gave birth to such a beautiful man; it seems Hazrat Muhammad ﷺ was created according to his own wishes without any defects. It has been clarified that Prophet Hazrat Muhammad ﷺ is without any defects and one who finds any defect in Prophet ﷺ his claim of Love is false. that the Ansaar (residents of Madinah) sang to the Prophet Muhammad [Sallal Laahu Alaieh Wa Sallam] upon his arrival at Madinah.. The blessing of Lailatul Qadr was bestowed by Allaah Kareem on the Ummah of Saiyyidina Muhammad (Sallal Lanhu 'Alaiehi Wa Sallam) while the night when he (Sallal Laahu Alaiehi wa Sallam) was born was bestowed by Allaah Kareem on all His creation. 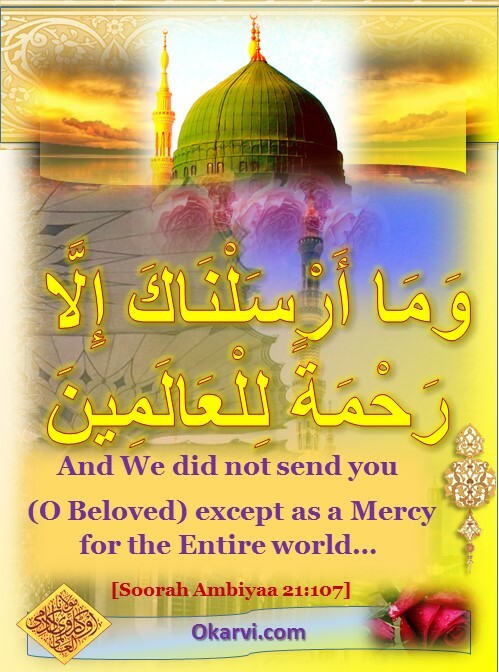 He (the holy Prophet) is he whom Allaah Almighty has sent as a mercy to all the worlds and it is because of him that Allaah's blessing became applicable to all His creation. Therefore, the night on which he (the holy Prophet) was born is more important by way of benefit and better than "Lailatul Qadr". When a man dies, his acts come to an end, but three, recurring charity, or knowledge (by which people) benefit, or a pious son, who prays for him (for the deceased). 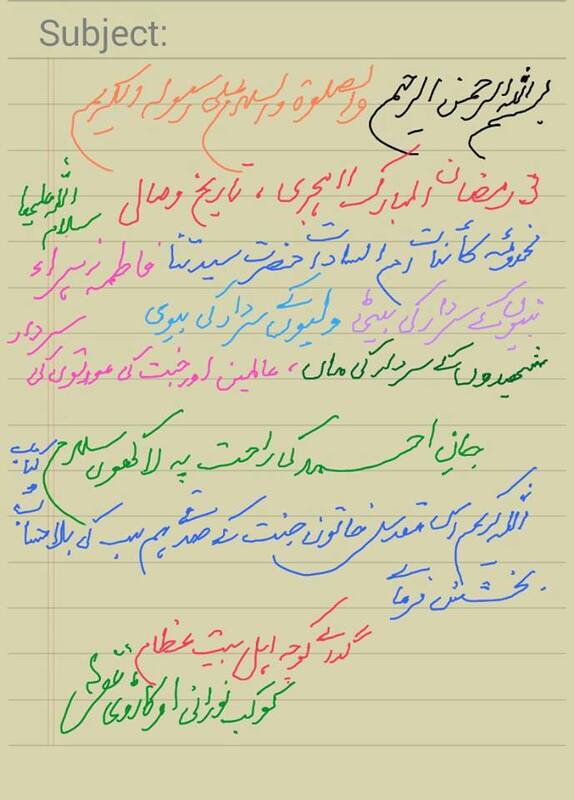 RULING OF AHLE SUNNAT WA JAMAA'AT REGARDING VISTING MAZAARAAT. "I had previously forbidden you to visit graves, but I now permit you to visit them, for it will remind you of the Hereafter." Aqeedah of Ahle Sunnat Wa Jamaa'at …regarding visiting the Blessed Shrines of Auliyaa Allaah. It is permissible to make [Intercession] Waseela’s of Prophets and their inheritors –Auliyaa’s' and Pious Muslims-...to approach Allaah Ta'aalaa with their help. Faaiez [Blessing] emanates from the soul of a Walee to the heart of a person who thinks of him and makes a Waseela of him while visiting the grave of that Walee. The weaker of the two souls gains strength. This is the reason why visiting graves was forbidden in the beginning of Islaam, since the dead in the graves belonged to the Jahiliyya Ages at that time. It was permitted later when there were dead Muslims who could be visited. One will be thinking about the Prophet or the Parents or Walee when visiting his grave. 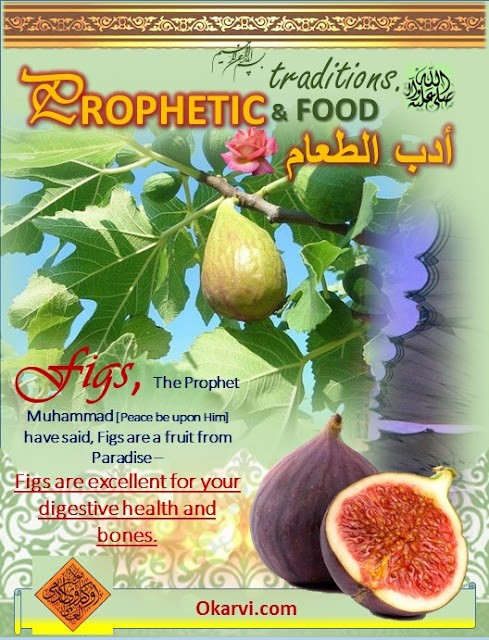 Visit for more Islamic Information And videos.